Using social media irresponsibly can get a student or adult in a lot of trouble outside of the law. An employee who writes inflammatory material about their boss can face a demotion or firing. A student that posts test questions before the day of the test could face a suspension or an expulsion. On a personal level, relationships are damaged or ruined on a routine basis, all because of social media. However, a Florida school district and local law enforcement have been taking things a step further as students have posted threatening comments online. If you or your child have been arrested or are under investigation for something that was written or sent online, it is time to contact an experienced West Palm Beach criminal defense lawyer. With school and other mass shootings often in the national spotlight, law enforcement is not taking any chances, and will charge serious crimes to children and adolescents who may not fully understand the seriousness of their online comments. According to the Pensacola News Journal, one student recently posted to Instagram, “I hope you all have fun in hell because I’m going to drag you down with me,” in reference to certain school cliques. That student was suspended. Another student, who was 15 years old, allegedly used another classmate’s Snapchat profile to write that he was going to shoot up the school and that he was glad that today was an all-day pep rally, which would make “everyone easy targets.” The student was arrested and charged with two second degree felonies of written threats to kill or do bodily injury, and a misdemeanor disturbing the peace and interfering with school administrative function, according to the Pensacola News Journal. The two second degree felonies each carry a maximum penalty of 15 years in prison. Another student, also 15 years old, posted a video to Snapchat saying “Don’t come to skool tomorrow,” while holding what looked to be an AK-47. The student claimed that it was just a joke, but authorities are taking it incredibly seriously. He was charged with the same second degree felony for a threat to kill or do bodily injury. An act that causes well-founded fear in the other person. Sending a threatening letter, email, Snapchat, Tweet, Facebook or Instagram message is a second degree felony, whereas as simple assault is only a second degree misdemeanor. If you or your loved one have been charged with a felony or misdemeanor for an online or in-person threat, you need an experienced criminal defense lawyer at once. 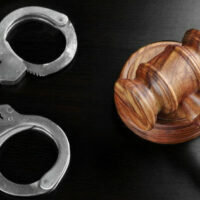 Contact the West Palm Beach law offices of the Skier Law Firm today for assistance.